WFL’s M120 Millturn machine, Data Analyzer as well as its improved version of the simulation and programming software Crash Guard Studio seems to be the company’s latest showcase at trade events. The Austria-based company WFL is known for producing multifunctional machining centres. The firm has recently showcased its prominent M120 Millturn machine at a few trade fairs and maybe JIMTOF 2018 will be its next stop. The M120 Millturn machine is capable of providing machining lengths from 78 to 315 inches and a swing of up to 48 inches. The machine is equipped with superior power ranges of up to 168 hp and boasts of a 74 hp direct-driven milling spindle which provides maximum power even at low speed rates. This proves beneficial when one makes use of large drills and milling cutters. The main spindle also offers torque values of up to 8680 ft lb. Further, the M120 Millturn is convenient to use across all axes and offers enormous feed rates which leads to impressive dynamics and utmost productivity. The great clamping forces of the B-axis allow for the use of damped boring bars with a diameter-length ratio of up to 1:14. Optionally, for the purpose of heavy ID-machining tools of up to 5 ft length and 320 lb weight, a separate pick-up magazine can be accessed. 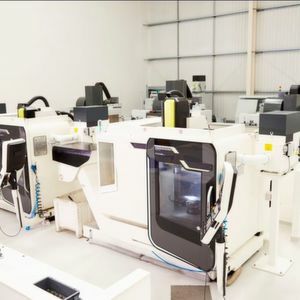 In addition to this, a fully automated solution for tools up to 8 ft is also made available through which different activities such as turning, boring, milling, gear cutting, deep-hole boring and ID-machining can be carried out. The company’s ‘Flanx gearing solutions’ meets increasing quality requirements, profile correctness and the search for flexible machining solutions. 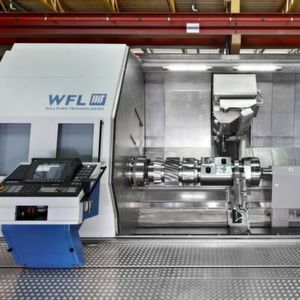 WFL Millturns are considered as ideal machines for manufacturing gears, pinions and gear cutting of shafts owing to their high material removal rates, flexibility in machining and in-process measurement. Intelligent software solutions supporting various machining operations allow for efficient and easy manufacturing of the required gearings. The customer’s requirements are always changing and in this backdrop there is always competitive pressure on the companies to offer better, enhanced technologies especially in areas such as gear production. In today’s age, the manufacturer has to offer complex methods of gear production as well as shorter lead times while ensuring the highest quality and offering flawless results. All this is taken care of by WFL’s 5 axis complete machining centers and advanced technologies. 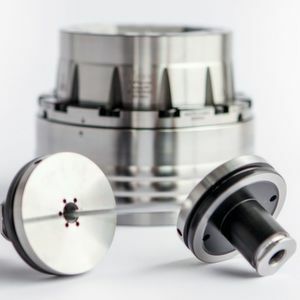 Further, the production of gearing solutions requires stable processes as even the smallest change can lead to obstruction in the machining operation. Hence, all the right elements such as the perfect combination of the machining center, process data, clamping tools and measurement systems play an important role. Also, a precise interpretation of the evaluated data enables the operator to take eventual corrective measures. When it comes to the competitive production of a single gear piece or pinion it is essential to have individual and flexible control over the production system. In order to optimise production, WFL offers its Data Analyzer which allows one to calculate key figures such as machine and process data as well as productivity data. Apart from this, an upgrade of the Crash Guard Studio, an in-house simulation and programming software is also available. The software enables pre-verification of NC (numercial control) programmes on the computer as well as proves convenient for programming by making use of a programming editor.